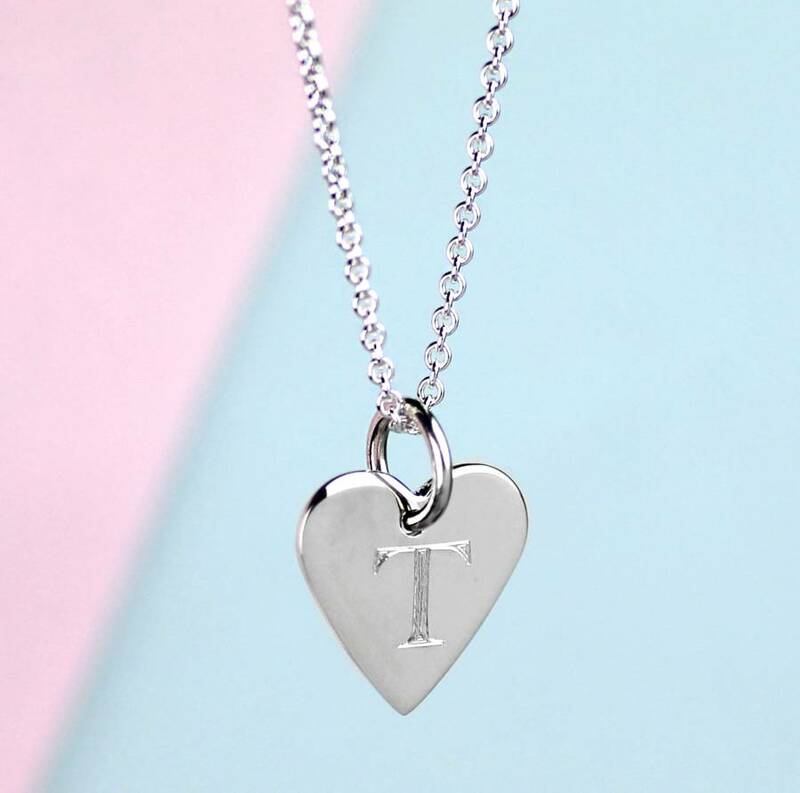 A lovely solid silver heart necklace with an engraved initial. 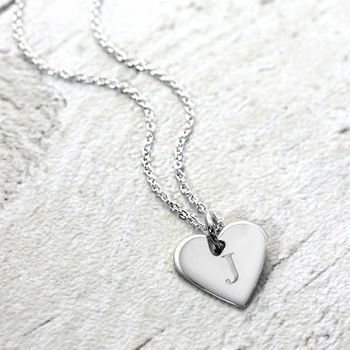 A very sweet little solid silver heart pendant with an initial engraved on the front. A lovely gift for a girl, maybe for a christening or for bridesmaids, that can be worn through to adulthood. 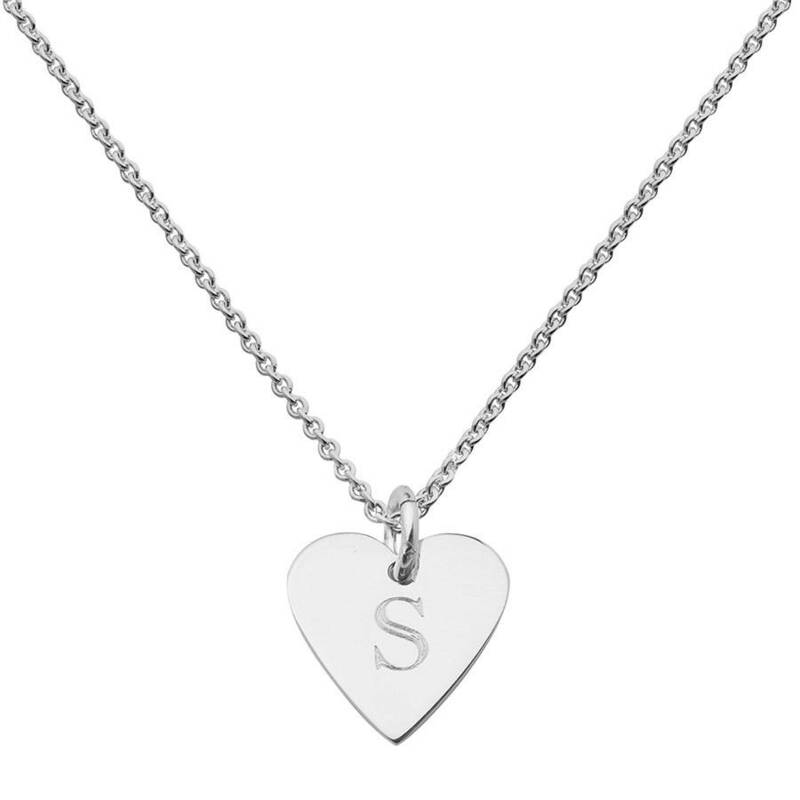 It comes either with a 13 - 15" silver chain for younger girls or a 16 - 18" extending silver chain. 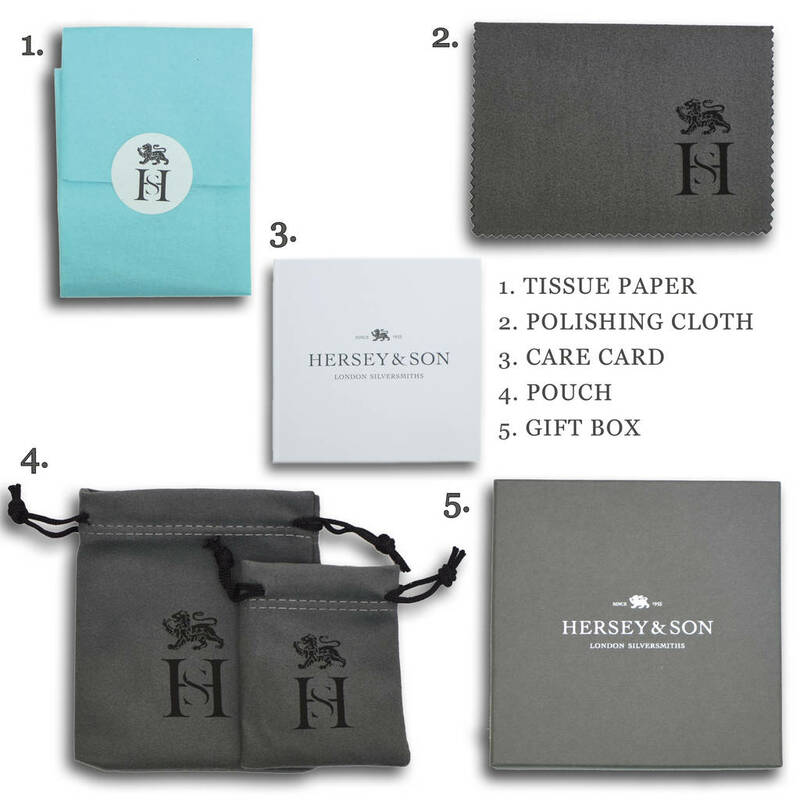 Your silver heart pendant is presented in a Hersey & Son gift box with a care card and silver cleaning cloth.. If you would like one without an initial please select "no engraving" from the dropdown menu. 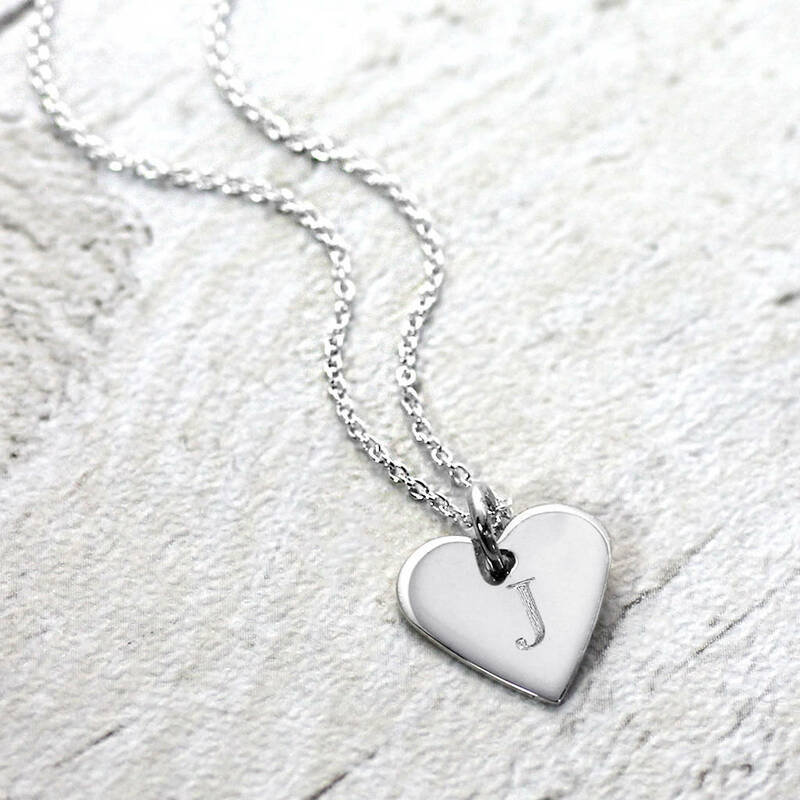 15mm x 15mm silver heart.